Your two trips were an amazing experience JANE. I can’t thank you enough for all your knowledge, enthusiasm and energy which gave us the most brilliant experience of France. One I will never forget. Strangely Every night I dream and it’s all in France- spooky!! I have relived my adventures telling friends so many stories. Yes we saw an amazing amount. Every day included such a variety of sights and experiences. I’m still processing!!! S.B. I am back home but I left my heart in France! I am always reflecting back to the unforgettable places we visited. I admire you in so many ways and thank you again for sharing everything with us. The tours exceeded all my expectations! M.M. ....Speaking of the tour, thanks so much for being such a fun, patient, knowledgeable and energetic guide. I could do it all again in a heartbeat. Yours was a tour I have longed to do for many years and it was even more than I had imagined. It was so nice to meet and spend time with you. I hope we meet again before too long. L.H. We hope you've arrived home safely now with all of your pottery in tact. We are back home and have recovered from jet lag! Thank you so much for the most wonderful time we had with you. My heart warms every time I reflect on our tours. If people ask me what do I love the most about France - it is the people and the food! Of course we went to so many fabulous places with you, so many memories, so much fun. I keep thinking of everywhere we went, I can't stop smiling. I am going back to work! I have decided to return for a short time to save for our next trip away with you. Getting excited already!!! Looking forward to our reunion in a few weeks time! September 2015. Thanks for a memorable trip. We had an amazing experience and wish it could have gone on longer. Thanks again. I have had the fortune to go on two of Jane’s Zeste tours to France, both focused in the south of France, specifically on the regions of the Drôme, Provence, and the Camarque. One of the attractions is the convenience. All you have to do is to get yourself to the allotted meeting point in a town at a given time on a given day, and then the next 14 days all is taken care of, travel, accommodation, entry fees to museums/events, and most meals. For me, the greatest pleasure is to have the opportunity to dive below the usual level of being a tourist in a foreign country and to get below the surface layer in the towns and particularly the villages where we may stay in small Chambres d’hotes, even an old chateau perhaps, or tiny hotels. Being able to shop for our lunches in the local markets is quite addictive. 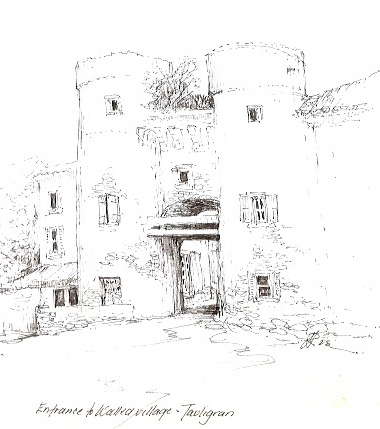 Jane’s love of France and its people is infectious and her knowledge of the south, its artists, potters, music, food and history is encyclopedic and enriching, and usually full of delightful surprises and experiences. I want to thank you so much for a truly wonderful trip. Enjoyed every moment of the time spent with a great group and I still need to sit and look at my 500 photos so I can lap up the wonderful countryside and recall all the many places we went to and all the spectacular scenery. I am just so pleased that I have finally made it to France. A truly inspirational holiday. My best wishes for all future trips. 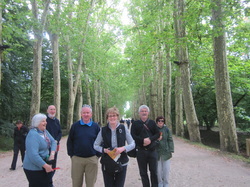 Judy [Sydney] Pottery tour to south of France. What a memorable and fantastic time! Your generosity and capability in looking after us all was just terrific. 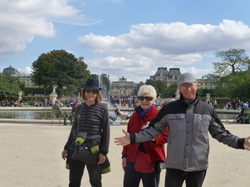 I enjoyed meeting your potter friends, your choice of gite and hotel, the pottery markets and food markets, the coffee, the restaurants, all such fun- And above all your excellent disposition. Thank you for all and everything, Best wishes Judy. Thanks for a wonderful trip- absolutely unforgettable! Words are not enough to express our thanks for a wonderful experience. Good onya Jane. You're a bonza sheila. Dear Jane, Many thanks for a brilliant trip - chance of a lifetime for me. Jane what an utterly bonza sheila. You gave 200% . We expected a good time but your trip was totally the best! Thank you Jane for some excellent pottery memories. ​Jane- Thank you for a wonderful trip. As you know it was all the things I had hoped for! And thank you for your thoughtfulness. With affection, Judy.